Mr. McCue was born in Lorain, Ohio. He attended The Ohio State University where he earned his B.S.B.A. in Finance in 1978. After graduation, Mr. McCue continued his education at The Ohio State University College of Law, receiving his Juris Doctor in 1981. He is licensed in the State of Ohio and in the United States District Courts for the Southern and Northern Districts of Ohio. Before joining Crabbe, Brown & James, Mr. McCue was an Assistant Ohio Attorney General, serving under Anthony J. Celebrezze, Jr. from 1981-1990. In that capacity, Mr. McCue served in several legal areas and ultimately served as Assistant to the Chief of Staff. Mr. McCue also served as Statewide Finance Director for the 1990 Celebrezze for Governor Campaign. Mr. McCue joined Crabbe, Brown & James in 1991, and one of his initial efforts was to serve as National Finance Director for United States Senator John Glenn during his successful 1992 senatorial campaign. Mr. McCue took an 18-month leave of absence from Crabbe, Brown & James in 1997 and 1998 to serve as First Assistant City Attorney to Columbus City Attorney Janet E. Jackson. During his tenure, Mr. McCue was responsible for coordination and management of operations of a large government law firm consisting of 55 attorneys and a total of 150 employees. 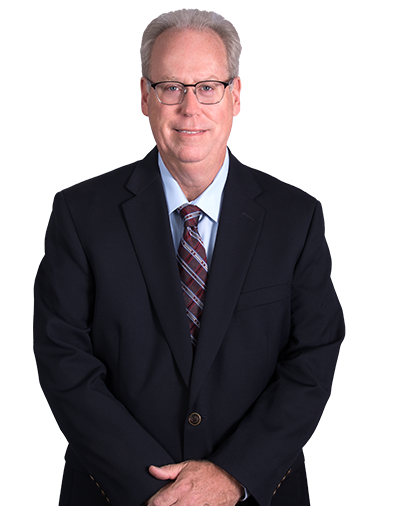 Upon his return to Crabbe, Brown & James, Mr. McCue focused his practice in the area of development issues within the City of Columbus and Franklin County. Mr. McCue also continued his involvement in assisting candidates at both the state and local level, serving as a fundraising consultant to the 1998 campaigns of Fisher for Governor and Donofrio for Treasurer, and serving as treasurer for both Columbus Mayor Michael Coleman and former Columbus Council President Michael Mentel in their 1999 elections. Mr. McCue has concentrated his practice in the area of administrative law and comprehensive government relations counseling at the state, county, and local level. Mr. McCue has provided legislative and regulatory counsel and advocacy for clients before the General Assembly, executive agencies, and state offices. His work in the City of Columbus and Franklin County has primarily focused on zoning, land use, and development issues, as well as assisting clients with procurement opportunities. Further, Mr. McCue provides general representation to clients in business development and planning, contract negotiation, and political and fundraising counseling. Highlights of Mr. McCue’s professional experiences include developing and implementing legislative and administrative strategies to enable various clients to impact legislation and to obtain government contracts or solutions statewide and at the local level; managing the largest municipal law practice in Ohio; and directing the fundraising efforts for an Ohio gubernatorial and U.S. Senate campaign. Representative clients have included: Careworks, Carmax, Clear Channel, Dominion Homes, Glimcher Development Corporation, Arcadis, Inc. (formerly Malcolm Pirnie), Ogden Martin, The Pizzuti Companies, United Health Care, Prime Engineering, Arshot Investment Corporation, and Worthington Industries.